"I have a good impression of this country especially of the American women. I have especially remarked on the absence of poverty in America." The conversation afterward turned to the subject of religions. 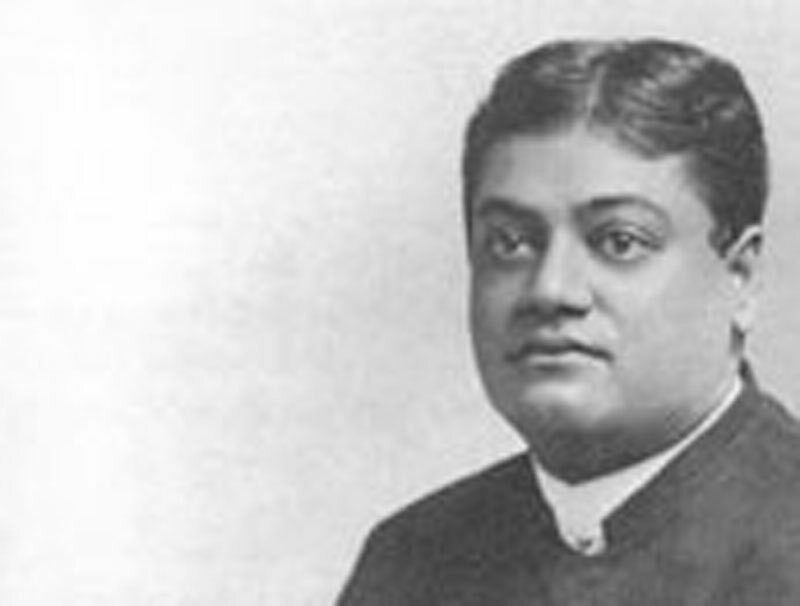 Swami Vive Kananda expressed the opinion that the World's Parliament of Religions had been beneficial in that it had done much toward broadening ideas. "What", asked the reporter, "is the generally accepted view held by those of your faith as to the fate after death of one holding the Christian religion?" "We believe that if he is a good man he will be saved. Even an atheist, if he is a good man, we believe must be saved. That is our religion. We believe all religions are good, only those who hold them must not quarrel." "We do not believe in miracles at all but that apparently strange things may be accomplished under the operation of natural laws. There is a vast amount of literature in India on these subjects, and the people there have made a study of these things. "Thought-reading and the foretelling of events are successfully practiced by the Hathayogis. "As to levitation, I have never seen anyone overcome gravitation and rise by will into the air, but I have seen many who were trying to do so. They read books published on the subject and spend years trying to accomplish the feat. Some of them in their efforts nearly starve themselves and become so thin that if one presses his finger upon their stomachs he can actually feel the spine. "Some of these Hathayogis live to a great age." The subject of suspended animation was broached and the Hindu monk told the Commercial reporter that he himself had known a man who went into a sealed cave, which was then closed up with a trap door, and remained there for many years without food. There was a decided stir of interest among those who heard this assertion. Vive Kananda entertained not the slightest doubt of the genuineness of this case. He says that in the case of suspended animation, growth is for the time arrested. He says the case of the man in India who was buried with a crop of barley raised over his grave and who was finally taken out still alive is perfectly well authenticated. He thinks the studies which enabled persons to accomplish that feat were suggested by the hibernating animals. Vive Kananda said that he had never seen the feat which some writers have claimed has been accomplished in India, of throwing a rope into the air and the thrower climbing up the rope and disappearing out of sight in the distant heights. A lady present when the reporter was interviewing the monk said some one had asked her if he, Vive Kananda, could perform wonderful tricks, and if he had been buried alive as a part of his installation in the Brotherhood. The answer to both questions was a positive negative. "What have those things to do with religion?" he asked. "Do they make a man purer? The Satan of your Bible is powerful, but differs from God in not being pure." Speaking of the sect of Hathayoga, Vive Kananda said there was one thing, whether a coincidence or note connected with the initiation of their disciples, which was suggestive of the one passage in the life of Christ. They make their disciples live alone for just forty days.